Indian skipper Virat Kohli recently notched up his 50th international century while playing against Sri Lanka in the first Test at the Eden Gardens, Kolkata. Ever since his rise in the game, there has been an argument about him going past the 100 hundreds of Sachin Tendulkar and now that he is halfway there, the belief is only getting stronger. The former Pakistani pacer Shoaib Akhtar feels that Kohli will not only score 100 centuries but can go on to stack up 120. He reckons that the Delhi-lad has the capability to play until the age of 44 given a player like Misbah-ul-Haq managed to play at the age of 43. “Virat Kohli is a modern-day great. When it comes to run chases, no one has ever shown better understanding of pacing an innings. Yes he has 50 international centuries now. I think he is the only player who can break Tendulkar’s record,” Akhtar said as quoted by Khaleej Times. “If Misbah-ul-Haq can play until 43, I am sure Virat can play until he is 44. If he plays that long and if he continues to score the way he is doing now, I have no doubt that he is the only one who can do it. In fact, he can hit 120 centuries,” he added. Virat Kohli’s captaincy record has been magnificent so far as he has tasted victories more often than not. Perhaps the only hiccup happened in the ICC Champions Trophy earlier this year where India lost to Pakistan in the final in a one-sided encounter. 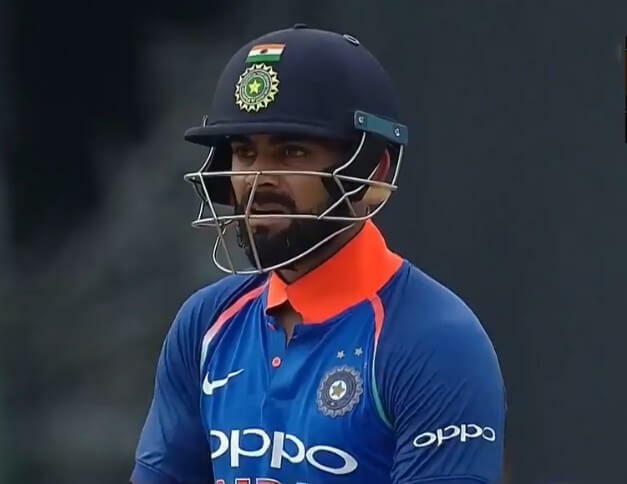 After the loss, Kohli went to the opposition dressing room to congratulate the neighbors and Akhtar lauded the true sportsmanship shown by the 29-year-old. “Hats off to Kohli who went to the Pakistan dressing room after the Champions Trophy final and congratulated our players. He spoke very highly of the Pakistan team. You know he is not only a great cricketer, he is a great ambassador for India as well,” said Akhtar.